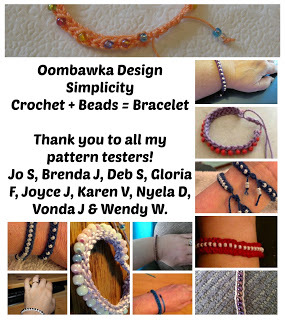 Thanks to the help of my fabulous testers, the Simplicity Crochet Beaded Bracelet pattern is now ready! 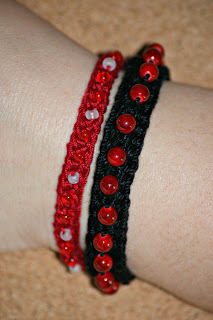 This is a very versatile bracelet pattern. I have provided instructions for creating both a fully-beaded and partially-beaded bracelet using Aunt Lydia’s Fashion 3 thread; however, I have also provided charts to adjust the size of the bracelet and the gauge to allow you to use most threads/yarns and a variety of bead sizes to create your own bracelet or anklet. The charts include substitutions for 3-6 months (4.5″) to adult XL (8″) and for gauges ranging from 3.5 sts/inch to 8.5 sts/inch. 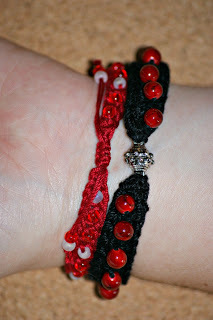 There is also a full photo tutorial outlining how to create the adjustable bracelet closure. The pattern has been fully tested and includes an index to the pages (and the index provides digital links to each page listed – so you will not need to ‘scroll’ if you are using a digital/computer method for viewing the pattern). As always, please feel free to contact me with questions 🙂 I will be happy to help. Hi, I was one of your testers and I love, love, love this pattern. 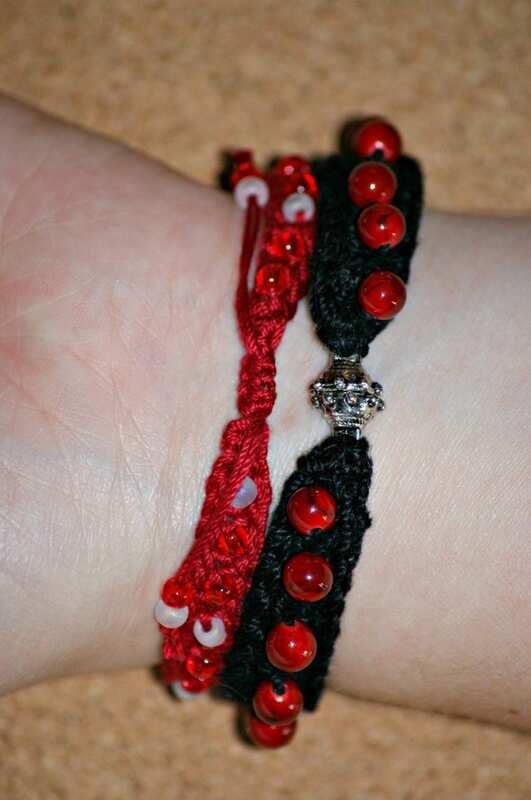 I make both bracelets and ankle bracelets and have given some to family and friends that love them! 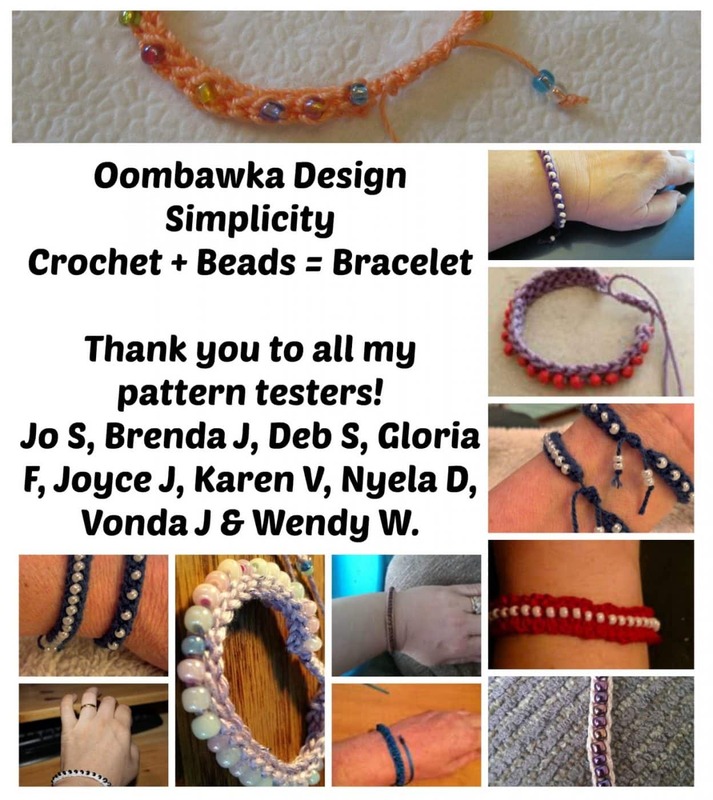 Easy to follow directions and I am happy with the finished bracelets!I have experimented with others size thread and beads too with great results.I recommend that pattern and have fun with it!